Good Hope Ministries works alongside and serves the Tumbuka people in northern Malawi. They work in approximately 110 villages each year, focusing on restoring wells, prison ministry, classes & lessons, primary health care, supplying bibles and other materials, and meals. Good Hope Ministries also distributes reading and prescription glasses in each village. Medical Ministry International has partnered with Good Hope Ministries to offer our glasses program and the necessary training to run the program successfully. We also supplied Good Hope with 7,500 pairs of sorted eyeglasses from our overstocked category inventory. Malawi is defined by its topography of highlands split by the Great Rift Valley and enormous Lake Malawi. The lake’s southern end falls within Lake Malawi National Park – sheltering diverse wildlife from colorful fish to baboons – and its clear waters are popular for diving and boating. 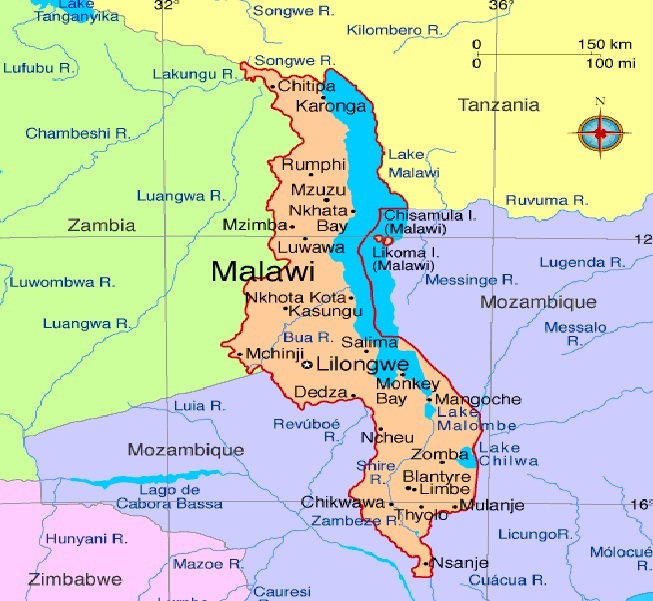 With a population of 18.09 million, Malawi is among the world's least-developed countries. The Malawian government faces challenges in building and expanding the economy, improving education, healthcare, environmental protection, and becoming financially independent amidst widespread unemployment. The country is nicknamed "The Warm Heart of Africa" because of the friendliness of the people. Malawi has a sub-tropical climate, which is relatively dry and strongly seasonal. The warm-wet season stretches from November to April, during which 95% of the annual precipitation takes place. A hot, dry season lasts from September to October with average temperatures varying between 25 and 37 degrees Celsius. narrow elongated plateau with rolling plains, rounded hills, some mountains. The Great Rift Valley runs through the country from north to south, and to the east of the valley lies Lake Malawi, making up over three-quarters of Malawi's eastern boundary.